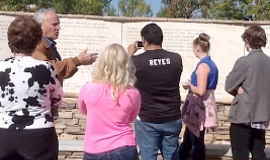 It is our vision that the Idaho Anne Frank Human Rights Memorial and the Wassmuth Center for Human Rights are the vehicles that encourage us to share a commitment to human rights, to learn from the horrors of the past to guide our behavior and shape our attitudes in the future, and to inspire classrooms and communities throughout the state to promote respect for human dignity and diversity. What one did in word and the other did in deed, our goal is to live and steward the legacy of Anne Frank and Bill Wassmuth. 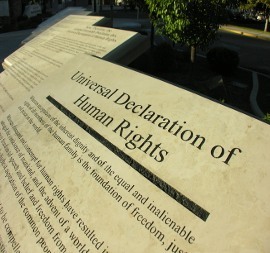 Supporters of the Wassmuth Center for Human Rights feel passionately that its work must continue well into the future. Guided by our mission to promote respect for human dignity and diversity through education and to foster individual responsibility to work for justice and peace, the Center must be able to develop and deliver the resources and programs that bring human rights education into classrooms and communities throughout the state. Commitments to the endowment are accepted as outright gifts in the form of cash or securities, as pledges payable over a five-year period, and as planned gifts, which include will commitments, trusts, annuities, and other planned and life-income instruments. 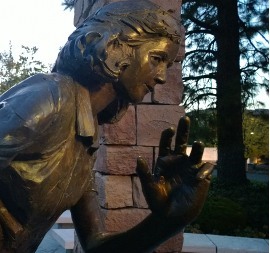 Whether in the physical bricks and mortar of the Idaho Anne Frank Human Rights Memorial or the programming of the Wassmuth Center for Human Rights, fostering value and respect for human dignity and diversity through education and community outreach is what we do. 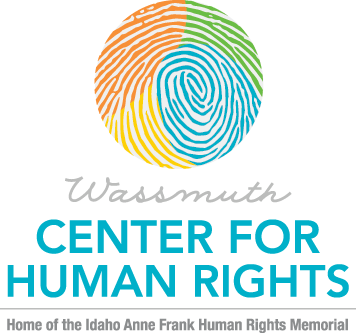 The mark that the Wassmuth Center for Human Rights is making throughout the state is motivated by the conviction that every member of the human family is worthy of fundamental human rights. “Respect for human dignity and diversity” is more than a value proposition. It is the mark we make that presents our community and state as a welcoming place to live; it is the mark of how and where to conduct business; it is the mark we secure for the next generation. That is the legacy handed to us by Anne Frank and Bill Wassmuth.